Status: Construction Completed August 2012. 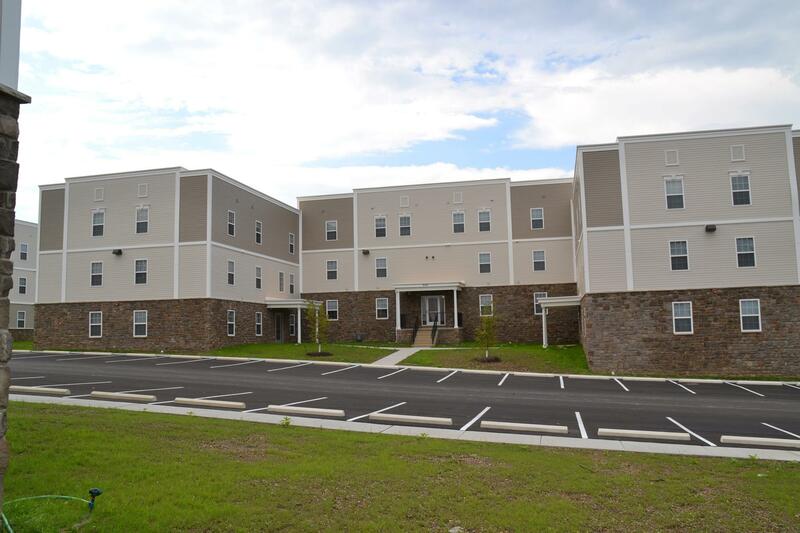 Campus Heights Village is a student housing complex located along W Main Street in Lower Swatara Township adjacent to the Penn State – Harrisburg campus. Consisting of 11 buildings with a total of 66 units each with 4 bedrooms to provide housing for 264 students, the Campus Heights Village project involved our survey, site design and architectural services groups. Working closely with our client, the C2C Design Group assisted in the development of building concept, layout and design plans including accessibility analysis, code review and local building permit assistance. Surveying services included base plan preparation and construction stakeout for the proposed buildings. Our site engineering group assisted in obtaining local zoning and land development permits by providing public meeting representation, project management services, and the complete design of site layout, grading, utility, stormwater management, and erosion and sediment control (ESC) plans. Additionally, our office coordinated with the Pennsylvania Department of Transportation for a Highway Occupancy Permit (HOP) for modified access to the site from W Main Street (SR 230) and obtained ESC and National Pollution Discharge Elimination System (NPDES) Permit approvals from the Dauphin County Conservation District.